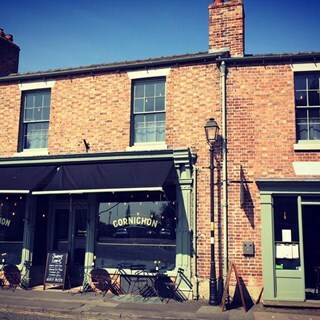 Cornichon is a bar and bistro in the rural village of Tarvin, Cheshire run by husband and wife team Ben and Lisa, along with friends Tom and Jamie – who all relocated from Nottingham to open the restaurant in September 2015. Located in The Gunnery – a Grade-II listed Victorian building that was a corn merchants and grocery store run by the Gunnery family – the décor is influenced by classic French bistro style, while maintaining the listed features. The menu is devised from what is in season, with a range of culinary influences including French, Asian, American and Middle Eastern. We have also forged some great relationships with local suppliers: our meat is mainly sourced from H.E Coward in Frodsham; coffee from Adams and Russell in Birkenhead and our real ale is from Weetwood. We also received the award of “Best Newcomer” at the Taste Cheshire Food and Drink Awards 2016. Had a birthday party for thirty guests. Absolutely fabulous on all counts. Fab meal as usual. Can't understand why this great little bistro isn't bursting at the seams every evening. More power to your elbow. BTW have you stopped serving popcorn appetizers. We missed it! It was a great meal in a fantastic dining room. We could not fault the food, Sunday Lunch, or the surroundings. The staff could of been quicker bringing our second order of drinks, but nothing is ever perfect. We will definitely be returning and with more friends next time. Great lunchtime offer. Lovely good fresh food and dessert. It was 12.00 on a Sunday, just literally opened so the atmosphere stars are because we were the only people there due to a hungry 18 month baby. It was a bit cold on arrival but heaters are out on without us asking, although we still had our coats on until after our starter. We ordered the babies food on arrival which was brought out promptly so she could eat whilst we looked at the menu. Food was great and service warm and friendly but also relaxed which is nice when you have a little one. I always judge a Sunday lunch on exactly that. I like my roast beef to be traditional but with a modern twist as to have a choice of contemporary starters/choices to go with it. I really enjoyed the Sunday lunch, my only minor issue was the plates were too small. I don’t like my food being layered or piled up and having to move things to eat. Bigger plates required. Other than that, all very pleasant and very enjoyable. Really enjoy dining here. Food is gorgeous, staff attentive and friendly . Fabulous evening spent in The Cornichon, Excellent attentive service, everyone was so friendly, great atmosphere and the food was outstanding, would definitely recommend, oh and the rib eye steak was gorgeous! Well done The Cornichon - at last a fabulous place to eat in Tarvin, we will be back. Enjoyed a delicious, well presented 2 course lunch. Attentive service from our friendly server. Wonderful Sunday lunch. Everything my friends and I ate was superb - and the drinks list was excellent too. Can't wait for a return visit! Excellent meal , only criticism we were a little bit cold by the windows/doors . Amazing food and service as always! We feel so lucky to have the Cornichon nearby. Would 100% recommend. I had informed the restaurant of my allergy beforehand & I got given a menu with things crossed off which is great for me! Very few restaurants do this so it’s great to see! I’m normally scared of trying new foods with my allergy’s but this helped me try new things! Would definitely recommend & I’ll be visiting again soon! 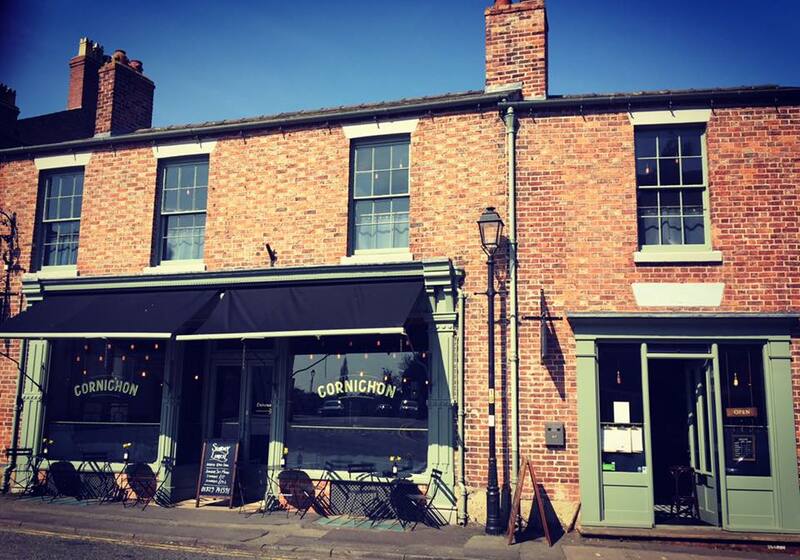 We go to Cornichon a lot as we live in Tarvin and have always had top quality food served by an amazing team of lovely people. Lovely restaurant and people with excellent food. Service can be a little variable and perhaps a bit more training on the wine service? But this is just nit picking - it is the best restaurant for miles.